Newport SLSC has five members chosen to represent Australia in the September World Championships 2016, with Georgia Miller, Dane Farrell and Jake Lynch in the Open team and Charlie Brooks and Issac Smith winning selection for the Youth team. Other locals going to the Netherlands this Spring (end of Summer and first month of Autumn in Europe) - Tim Schofield from Terrigal SLSC/ Hills LSC, Jemma Smith and Rachel Wood both from Umina SLSC / Hills LSC and Callum Lowe-Griffiths from Queenscliff SLSC / Hills LSC. 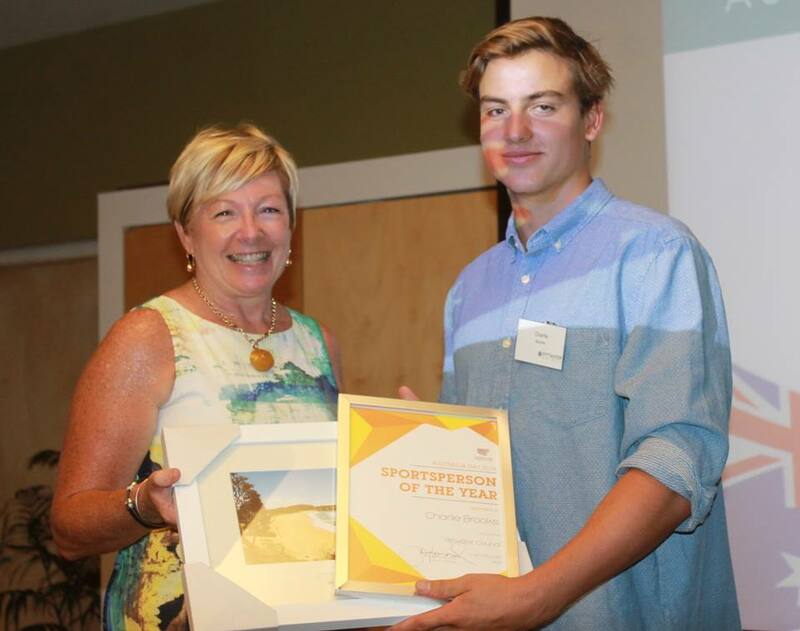 Above: Pittwater Council's 2016 Sportsperson of the Year Charlie Brooks (dual winner with Alyse Saxby) - Australia Day Awards world class athlete Charlie Brooks - who praised and thanked the great work going on at Newport SLSC to support surf life saving athletes, his team mates and his dad! Reigning Nutri-Grain Series champion Jordan Mercer will spearhead the Australian Life Saving Team’s bid to regain supremacy at the 2016 Lifesaving World Championships in The Netherlands. After featuring at youth level, Mercer will represent the Open national team at a World Championships for the first time in the city of Eindhoven and Noordwijk from September 1 – 18. 12 athletes from Surf Life Saving Australia and Royal Life Saving Society Australia have won Open selection for the biennial world championships. It follows the naming of the national Youth team yesterday. “I feel so honoured to be selected in the Australian Life Saving Team. It’s something I’ve always wanted to achieve but I never really thought it would happen so soon,” Mercer said. The team will contest 41 events at the championships over both ocean and pool events. New Zealand is the defending world champion having won the overall title in 2012 and 2014. The selection process follows the Australian team’s defence of the International Surf Rescue Challenge title at Maroochydore in September and a successful campaign European campaign in November to contest the International Dutch Cup and International German Cup. Of the 12 athletes chosen, five were members of the all-conquering youth team which dominated the Lifesaving World Championships in France two years ago. “I think we have a team which can win the title back. We wouldn’t be going if we didn’t think we could win and we are looking forward to the beach conditions with long wades and lots of running. Hopefully the wind will get up too,” Australian Life Saving Team head coach Danny Short said. In an extremely talented women’s line-up, Mercer will be joined by fellow Nutri-Grain Series competitor Georgia Miller, who recently won the open surf race at the Australian Surf Life Saving Championships. Miller is joined by Australian swimming representative Chelsea Gillett and under-19 surf race champion Prue Davies as graduates of the 2014 youth team. Former world record holder Pam Hendry returns to the Open squad, as does Melissa Cracroft- Wilson, who won an unprecedented tenth Australian beach flags title last month. Australian Ironman Championship runner-up Dane Farrell has won his first national call-up, while Sam Bell returns to the team after missing selection in 2014. Australian swimming representative Bradley Woodward and proven all-rounder Matt Davis will take on the bulk of responsibility in the pool events. Tim Schofield is back following some inspirational performances in France two years ago, while Australian men’s beach flags runner-up Jake Lynch will take on the sprinting duties. The team will assemble in Sydney later this month as a key part of the build-up to the Lifesaving World Championships. “Over the past few years we have built a strong culture around accountability, respect and resilience. We will continue to do that at camp and throughout this campaign,” Short said. Rising teenage stars Jemma Smith (named as Female Athlete of the Australian Championships 2016) and Callum Lowe-Griffiths (Australian U17 Ironman Champion - Aussies 2016) will captain the Australian Life Saving Youth Team into the 2016 Lifesaving World Championships in The Netherlands. They are among a host of gold medallists from the recently completed Australian Surf Life Saving Championships that will spearhead the team’s youth campaign. National selectors have chosen a team of 12 youth athletes who will be looking to emulate Australia’s dominant performance two years ago when it became the first ever group to win the overall points standing and top the table in both the ocean and pool disciplines. The 2016 Lifesaving World Championships will be held in the city of Eindhoven and Noordwijk from September 1 – 18. Australia will be represented by a Youth and Open team, comprising of athletes from both Surf Life Saving Australia and Royal Life Saving Society Australia. “This is an incredibly talented and gifted group of athletes. This has made it even tougher to come up with just 12 names who will have the honour of wearing the Australian team cap,” Australian youth team coach Brett Dowker said. The team has been chosen from a High Performance Youth squad of 49 that was assembled in the wake of the Australian Life Saving Team’s 2014 world championships campaign. Recent performances at the Australian Surf Life Saving Championships on the Sunshine Coast were a key component of the final selection process. This was combined with results at national Pool Lifesaving Championships over the past 12 months. Promising Umina SLSC and Hills LSC duo Smith, who won the Female Athlete of the Aussies 2016 Championships and clubmate Rachel Wood feature in a star-studded team. Kurrawa’s Nicole Kay and Rachel Eddy have won selection on the back of impressive performances at the Sunshine Coast. 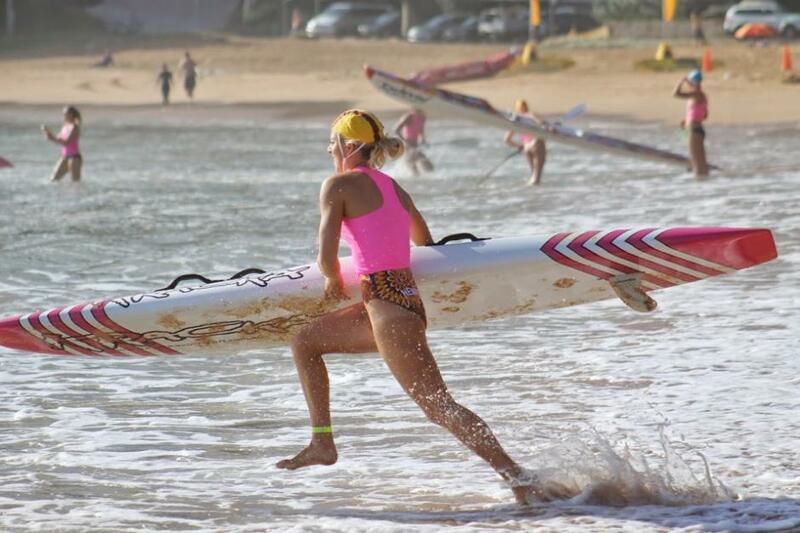 Kay won the Open Beach Sprint title at Mooloolaba. Reigning national youth athlete of the year and Nutri-Grain Series competitor Lizzie Welborn (North Bondi SLSC) and Victorian pool swimming sensation and Royal Life Saving Female Lifesaver of the Year Samantha Howe (Pt. Leo SLSC) round out the female contingent. The men’s youth team is composed of athletes from five clubs along the Australian east coast. Newport SLSC will supply two athletes with strong surf backgrounds; Charlie Brooks and Issac Smith chosen. Swimming ace Toby Wilson (Northcliffe SLSC) sealed his seat on the plane on the back of his performances at last weekend’s pool rescue trials at Southport. He also won the Open Aussie Ocean Swim at Mooloolaba last month. Towering teen Ethan Garland (North Cronulla / Port Hacking Lifeguard Club) will carry many of Australia’s hopes in the pool rescue events. 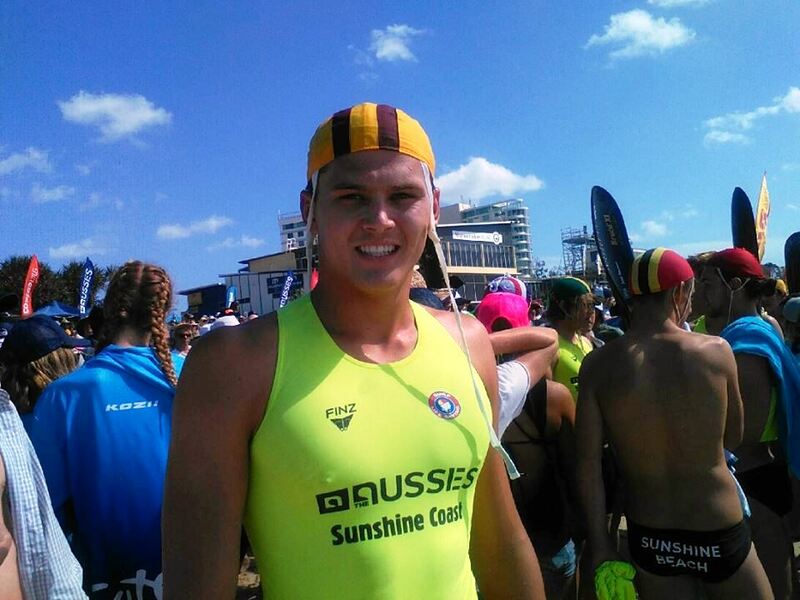 Queenscliff SLSC and Hills LSC Lowe-Griffiths won gold in the under-17 Ironman while Cody Rychvalsky (Maroochydore SLSC) heads to The Netherlands on the back of podium finishes in both the Beach Flags and Sprint events at The Aussies. “This is a group of young men and women who are chasing their dreams on a pathway to representing their country at Open level,” Dowker said. The Youth Australian Life Saving Team will assemble for a squad camp on the Gold Coast on June 3 in a key lead-up to the Lifesaving World Championships. Women: Jemma Smith (Umina SLSC/ Hills LSC), Rachel Wood (Umina SLSC / Hills LSC), Nicole Kay (Kurrawa SLSC), Rachel Eddy (Kurrawa SLSC), Lizzie Welborn (North Bondi SLSC), Samantha Howe (Pt. Leo SLSC). Men: Charlie Brooks (Newport SLSC), Issac Smith (Newport SLSC), Toby Wilson (Northcliffe SLSC), Ethan Garland (North Cronulla SLSC / Port Hacking Lifeguard Club), Callum Lowe-Griffiths (Queenscliff SLSC / Hills LSC), Cody Rychvalsky (Maroochydore SLSC). The organization of the event is done by Reddingsbrigade Nederland, the Dutch Lifesaving Federation. Information from this website about Worlds 2016 and the areas of competition runs below. Click on the links on this page to download the programme/s as PDF's. This tentative programme is subject to change. Ocean events comprise races that are often unpredictable as currents and waves play a major role. Experience, tactics and endurance is called for in the athletes. With a running start into the surf from the start line on the beach, competitors swim around the 400 m (280 m for Masters) course designated by buoys, returning to shore to finish between the finish flags on the beach. From a prone starting position on the beach, competitors rise, turn and race approximately 20 m to obtain a baton (beach flag) seated upright in the sand with about two-thirds showing. Since there are always fewer batons than competitors, those who fail to obtain a baton are eliminated. Competitors take their positions in their allotted lanes. At the starting signal, competitors race the 90 m (70 m for Masters) course to the finish line. The finish is judged on the competitor’s chest (only) crossing the finish line. Competitors must finish the event on their feet in an upright position. Competitors race 2 km on the beach in four 500 m legs. Competitors steady their surf skis in line in knee-deep water about 1.5 m apart. Competitors must obey directions from the starter or check starter concerning surf ski alignment at the start. On the starting signal, competitors paddle their surf skis around the course marked by buoys and return to finish when any part of the surf ski crosses the in-water finish line – ridden, gripped, or carried by the competitor. Competitors stand on or behind the start line on the beach with their boards 1.5 m apart. At the start signal, competitors enter the water, launch their boards, and paddle the course marked by buoys, return to the beach, and run to cross the finish line. Competitors cover a 1.2 km course that includes a swim leg, a board leg, a surf ski leg, and a beach sprint finish. Conditions of racing of each leg are as generally required for the individual conditions of that discipline including the rules governing the component disciplines: surf ski races, board races, surf races, beach sprints. Four competitors from each team participate in this event: a “victim,” one rescue tube swimmer, and two rescuers. The victim swims approximately 120 m to a designated buoy, signals, and waits to be rescued by the rescue tube swimmer. As they return to shore, the remaining two rescuers enter the water to assist. The event finishes when the first competitor in a team crosses the finish line while in contact with the victim. Teams of four individuals (three in Masters) compete in baton relay fashion over a 90 m (70 m for Masters) course. To start, two (one and two members in Masters) competitors take positions in their allotted lane at each end of the course. After the start each competitor completes a leg of the course with a baton held in either hand and passes the baton at the conclusion of the first, second and third legs to the next number. In this event, one member of the team swims approximately 120 m to a designated buoy, signals, and waits to be picked up by the second member of the team on a board. They both paddle to shore and cross the finish line on the beach with the board. Teams of four competitors (one swimmer, one board paddler, one surf ski paddler, and one runner) cover the course in a sequence of legs determined by draw at the start of each competition. Inflatable Rescue Boat (IRB) Racing, is a surf sport where local surf lifesaving club teams race Inflatable Rescue Boats under competitive conditions. IRB Racing consists of a number of simulated rescue events, with the aim of improving lifesaver skills through competition. For most events, the team consists of an IRB driver, a crew person, and a patient. At the World Championships in 2016 there will be four different events: Single Rescue, Mass Rescue, Tube Rescue and Team Rescue. Surf Rescue is requires only one driver, one crew person and the patient. This race simulates the most basic form of rescue: to pick up a single patient in trouble. The race starts with the boat positioned on the shore line, nose facing out to sea. The patient is placed to the right of a buoy positioned approximately 140 metres directly out from the shore. On initial firing of the starter's gun, driver and crew proceed to drag the craft to an appropriate depth. The crew person holds the boat steady, allowing the driver to jump in and start the motor. Once the craft is within 10 metres of the patient, the driver will back the speed off slightly while the crew person leans out across the port side pontoon, preparing his or her left arm to form a solid hook. Precision positioning by the driver is required to ensure the craft comes up just next to the patient so that the crew person may hook the patient and pull him or her into the boat. The driver then turns sharply around the buoy and the entire team prepares for a quick dash back to the shore by ducking down into the boat as far as possible to reduce their wind resistance. During the return to shore, the driver will usually travel at top speed, popping over breaking waves and driving down the face of spilling waves. As the craft hits the beach, the driver must 'kill', or stop, the motor, exit the boat and make a final dash to the finish line to complete the race. Mass Rescue simulates a rescue in which more than one patient is in trouble. Specifically, the Mass Rescue involves picking up two different patients, in separate trips to the buoy, with a simulated driver changeover in between. Before the rescue begins, the team's two patients are transported to the buoy, with one positioned in front of it and the other positioned behind. The first leg of the Mass Rescue is identical to the Single Rescue race. After the first patient is picked up, the team returns to shore, the driver turns off the motor and puts it into neutral. The driver then exits the IRB, runs up the beach, around a turning post, and then back to the boat for the second leg. During the driver's run, the rescued patient exits the boat, and the crew person turns the IRB around to face the surf once again. Once the second patient has been successfully picked up and the IRB has returned to shore, the driver cuts the motor, places it into neutral, exits the boat and runs over the finish line to complete the race. Team Relay is a competitive event that requires two IRB teams from each individual club, each consisting of a driver, a crew person and a patient. One is designated the primary team, and the other, the secondary team. Set-up is similar to the Single Rescue and the primary team starts the race in the same way as the Single Rescue, racing out to pick up the first patient and then returning to the beach. As soon as the primary team reaches the beach and the driver exits the boat, the secondary crew person is allowed to run out to the boat, turn it around, and drag it out to starting depth. The two crews must have control of the boat at all times. While the secondary-team crew person prepares the IRB for its second run, the driver from the primary team sprints up the beach to tag the driver of the secondary team, who then sprints down the beach, enters the boat and then proceeds to pick up the second patient. The race is complete when the secondary team has successfully returned to the beach, the driver has exited the boat and has run across the finish line. Tube Rescue consists of a driver, crew person, and patient. In this race, two buoys are positioned 25 metres apart in the water. The patient is placed at the buoy farthest away from the shore. The race starts in the same way as the Single Rescue. As the craft passes around the right side of the buoy, the crew person, with the lanyard of the rescue tube looped over his body, disembarks into the water. The crew person then proceeds to swim to the second buoy, trailing the rescue tube behind. Upon approaching the second buoy, the crew person pulls the tube in and passes it to the waiting patient. The patient assists the crew person by wrapping the tube around the front of his or her chest, then leaning forward so the crew person may clip the two ends of the tube together. Once this is done, the crew person swims around the buoy and heads back towards the first buoy and the awaiting driver and craft. When patient and crew person reach the IRB, the driver assists the patient into the boat, as the tube must remain on the patient's body until he or she is in the craft. The crew person will climb into the craft and when both are in the boat, the driver must commence an anti-clockwise turn of the buoy before proceeding back to the shore. The finish is much the same as for the Single Rescue. A surfboat is an oar-driven boat designed to enter the ocean from the beach in heavy surf or severe waves. It is often used in lifesaving or rescue missions where the most expedient access to victims is directly from the beach. A boat crew shall consist of five competitors, four of whom shall be "rowers" and a "sweep" who controls the boat by use of a sweep oar and commands to the rowers. Boat crews stand in knee-deep water holding their boats about 23 m apart. After the starting signal, crews row around the assigned turning buoys positioned approximately 400 m from the start and return to the beach. The finish is determined by any part of the hull crossing the finish line from the seaward side, between the designated flags. Eindhoven is a vibrant and lively city. A city of opportunity, encouraging possibilities. A city bursting with energy. Of brainpower, work ethic, of fun. There is a constant stream of new developments in the fields of creativity, innovation, technology, design and knowledge. Eindhoven is the fifth largest city in the Netherlands and a dynamic urban centre in the south of the country. Located 120 kilometres south of Amsterdam and 60 kilometres from the German border, Eindhoven is a vibrant and lively city. It has a wide variety of shops, numerous bars and restaurants, welcoming terraces, lively nightlife, an overflowing events calendar and art, culture and sport of the highest quality. But Eindhoven also has a rich history. At first sight it is a young and modern city, but in reality it is one of the oldest in the Netherlands. Eindhoven is undergoing major development. Traditionally, Eindhoven’s economy was based on industry – the city is home to Philips and DAF trucks, for example. Today it is a boundary-pushing and inventive region where technology, design and knowledge take centre stage. These three elements represent the strength of Eindhoven and act as a magnet to attract talented individuals, students, start-ups and international businesses to the city. Eindhoven has a leading position in both domestic and international sport. Take hockey club Oranje Zwart and football club PSV Eindhoven for example, not to mention the city’s swimming and athletics success. The city also plays an exemplary role in encouraging recreational sports at all levels: an impressive 67% of all people living in Eindhoven take part in regular sport and exercise. The city council works with educational institutes and businesses to ensure a well-balanced and versatile sports environment for young and old. This approach led to the creation of Eindhoven Sport in mid-2011. Eindhoven Sport offers facilities for everyone: the professional as well as the recreational athlete. After all, Eindhoven is the place where sport and innovation meet and strengthen each other. Eindhoven Sport also uses its core strengths to make sport more accessible, help athletes to reach the top of their game, and deliver a more effective design and management of sports facilities. The city is also home to the Fontys University of Applied Sciences and the Summa College Sports & Education, which offer a range of qualifications in sports and movement. Eindhoven is easily accessible by car, train and plane. Eindhoven is situated in a central position in relation to other large cities in the Nederlands, Belgium and Germany. Amsterdam, Rotterdam, Brussels and Aken are all within a 140 km range. The competition will take place in the Pieter van den Hoogenband swimming stadium. With a ten-lanes 50-meter competition pool, a 25-meter diving pool and a four-lane training pool the accommodation is great for training and competition. The Pieter van den Hoogenband Swimming Stadium is home to the world’s top stars including the name giver also known as the Dutch Dolphin, Inge de Bruijn, Maarten van der Weijden and reigning double Olympic champion Ranomi Kromowidjojo. The venue is one of the fastest pools in the world. The four-lane training pool is even equipped with a Vision Training System. This system makes through twelve cameras comprehensive analyzes of swimmers and is unique in Europe. The Pieter van den Hoogenband swimming stadium features three thousand seats and is therefore also a beautiful venue for events such as the World Cup Swimming, the European Short Course Swimming and European Master Championships. Pieter Cornelis Martijn van den Hoogenband ( born 14 March 1978) is a Dutch former swimmer and a triple Olympic champion. Born in Maastricht, Limburg, the son of Cees-Rein van den Hoogenband and Astrid Verver, a former Dutch 800 m freestyle silver medalist at the European Junior Championships, he grew up in Geldrop, where he swam for PSV Eindhoven. His father is a team doctor with the professional football team of the same club. In 1993, Van den Hoogenband achieved his first successes, performing well on the European Youth Olympic Days. He is the only swimmer in history who has managed to do both the 100-200 freestyle double at the Olympics and also repeat as 100 freestyle champion at the Olympics. His 3 Olympic Gold are also the only 3 won by any Dutch male swimmer in their history. At the 2004 Summer Olympics in Athens, he won a gold medal in the 100 m freestyle and two silvers in the 200 m freestyle and the 4 × 100 m freestyle relay, swimming the anchor leg in 46.79 which was the 2nd fastest split in history. By finishing ahead of Michael Phelps in both the 200 m freestyle and the 4×100 m freestyle relay, he is the only swimmer to ever beat Phelps twice in Olympic competition. Noordwijk is a charming fishing village that has changed into a popular seaside resort. It is located in the famous bulb-growing area. The 13 km long sand beach, the atmospheric boulevard, the old centre and the beautiful dunes and forests form the décor of Noordwijk. Noordwijk is the right place for people who love the sea and who are looking for a lovely weekend out. The apartment complexes, hotels, restaurants and terraces follow up on each other at the boulevard. Noordwijk is located nearby The Hague, Rotterdam, Leiden and Amsterdam. The beaches of Noordwijk have won already several major awards. In 2015, the beach received (each year without interruption since 1987) the International ‘Blue Flag’ environmental award again. It guarantees high quality of bathing water and a well kept clean beach. Every year Noordwijk also receive the ‘Quality Coast Award’ for its high quality of human and nature-friendly tourism. Noordwijk’s biggest attraction is the beach, but this place offers more. During your visit to Noordwijk you won’t be able to miss out on the lighthouse. The lighthouse was built in 1921 and is about 25 meters tall. Another place of interest that you can’t miss out on when visiting Noordwijk is the Space Expo. You can also get on a bike and take a look at the bulb-growing area, where the landscape is coloured by millions of tulips. The Keukenhof and the flower parade in the spring are most certainly worth visiting as well. Furthermore, you can enjoy the beautiful view of the sea and the beautiful buildings in the historic centre of Noordwijk. But there is more to see, the dune landscape, diverse sculptures and special museums. Noordwijk is located on the North Sea shore, close to the heart of Holland’s economic centre. Noordwijk is easily accessible by car, taxi and public transport. Multiple roads lead to the nearby A44 highway. An extensive bus network and numerous taxi companies provide excellent connections. Noordwijk’s major attractions are the sea and the beach. If the weather’s not so great, you can always stroll round the shops in the lively seaside resort. Or go on an excursion: there’s lots to see and do within easy reach. Feel like sniffing out some culture, shopping or museums? From Noordwijk you’re within half an hour of Leiden, Amsterdam, Delft and The Hague. Want to take the kids to an amusement park or fun family attraction? Madurodam, Corpus, and Space Expo are just around the corner. Noordwijk is a town and municipality in the west of the Netherlands, in the province of South Holland. The municipality covers an area of 51.45 km2 (19.86 sq mi) of which 15.97 km2 (6.17 sq mi) is water and had a population of 25,600 in 2014. The municipality of Noordwijk consists of the communities Noordwijk aan Zee and Noordwijk-Binnen, separated by a narrow green belt. Besides its beaches, Noordwijk is also known for its bulb flower fields. It is located in an area called the "Dune and Bulb Region" (Duin- en Bollenstreek). Noordwijk is also the location of the headquarters for the European Space Research and Technology Centre (ESTEC), part of the European Space Agency (ESA). ESA's visitors' centre Space Expo is a permanent space exhibition. A place of pilgrimage: Noordwijk’s history dates back to 2000 BC. This is when the first traces of inhabitants were recorded, with the torture of Jeroen the priest in 857. Jeroen, a Scottish Benedictine monk who came to Noordwijk in 847 to carry out his mission work and build a chapel, could have been the first priest of Noordwijk. His life came to an abrupt end in 857 when he was beheaded by ransacking Normans. His name lived on however, as more than a hundred years later in 980 a Roman chapel was built in his honour. This chapel became a popular destination for pilgrims. In 1303 a large stone church was built on the site of the chapel, known as the Middle Aged gothic Great Church, or Sint Jeroen's. Sint Jeroen's skull served as an important relic. Noordwijk soon became known as a place of pilgrimage, which was officially confirmed by the Bishop of Utrecht in 1429. Sint Jeroen's church developed over time into a pilgrims’ church, which provided Noordwijk with a considerable income. However, the Eighty Years' War put an end to this. Only by paying a substantial sum to William of Orange's army could the church be saved during the Iconoclastic Fury of 1566. To be on the safe side however, all Catholic objects were removed from the church; including the most important relic, Sint Jeroen’s skull. Tradition has it that his head lies buried somewhere in the church, but nobody knows exactly where. Towards the end of 1800 a new Roman Catholic church was erected in honour of Sint Jeroen. To this day the church's altar houses the skeletal remains of Sint Jeroen. Fishermen: The first inhabitants of Noordwijk were most likely fishermen. The first "vierboet" was built in 1444, on the site of the current Grand Hotel Huis ter Duin. A "vierboet" is a fire site on a hill for helping the fishermen find their way back to the beach at night. Back in 1474 Noordwijk had an extensive fleet of 38 large & small ships, which left from the beach as there was no harbour. They caught herring, cod, haddock, whiting and plaice. Bulb exhibitions: Bulb cultivation emerged as the successor to herb cultivation. From 1880 the number of bulb growers and bulb fields grew to 250 and 252 hectares respectively, by the end of the 19th century. Tulips, daffodils and gladioli were grown, amongst other flowers. The majority of bulb fields lie behind the dunes as the sandy soil there is extremely suitable for cultivation. Noordwijk earned a national and international reputation for its impressive bulb exhibitions. In 1932 a Flora park was set up within the Offem country estate. Furthermore, Noordwijk entries could be admired at foreign bulb exhibitions and subsequently also in the flower exhibitions. Today the Noordwijk bulb area covers 311 hectares of land. The Organising Committee of Rescue 2016 is pleased to announce that Rescue Marine Services Ltd has agreed to supply the competition and additional event & safety boats for the World IRB Championships. Adam Wooler, Director of Rescue Marine Services said “I am very pleased to support Rescue 2016 and the World IRB Championships in this way. The Arancia IRBs and Tohatsu engines are world class and will ensure that the competitors, Officials and safety crews have the best equipment available”. Jolanda van Dalen, Chairman of the Rescue 2016 Organising Committee said; “We are very happy to have Rescue Marine Services and the companies Adam works with supplying this very important equipment for the World Life Saving Championships”. The equipment provided will be Arancia A377 & A380 Rescue Boats, Tohatsu MH25(30)H ‘Surf’ engines equipped with Prop Deflector prop guards, Powertech propellers and Orca ‘Rescue’ fuel tanks. The equipment will be transported by Kepair & Sea. Rescue Marine Services supports Life Saving Clubs, Emergency Services and Local Authorities in the UK and across Europe by providing a ‘one stop shop’ for the supply of all their rescue boat equipment at a competitive rate.